Soufriere, Saint Lucia, July 2018…With four different restaurants and a staff more than willing to accommodate any dietary request, Anse Chastanet, one of St. Lucia’s most beloved resorts, has always been a haven for vegetarians and vegans. The cuisine at both Anse Chastanet and sister resort Jade Mountain is overseen by Chef Allen Susser, a James Beard award winner who describes his cooking style as “cross-cultural and constantly evolving.” At each on-property restaurant, Chef Susser showcases the organic produce grown at Emerald Estate, the resort’s farm in the Soufriere hills. 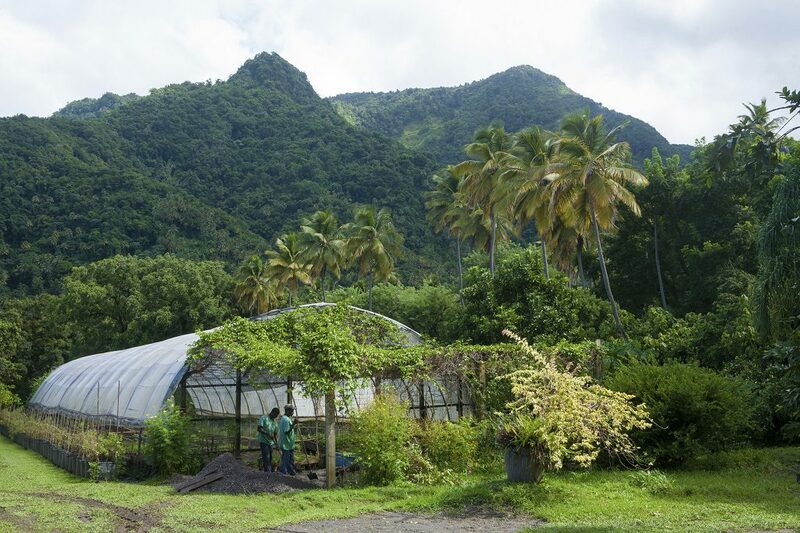 He also weaves in herbs and fruit grown in Anse Chastanet’s gardens, including bananas, passion fruit, mangoes, avocados, oranges, tangerines, guava, papaya and coconuts. The focus on fresh ingredients is especially evident at Anse Chastanet’s Emeralds restaurant, where the dinner menu is completely vegetarian and features flavorful meatless dishes like calabaza (squash) gnocchi and satay skewers made with tofu, sweet potato and plantain. From October 9 through 16, Susser and his team at Anse Chastanet will welcome Chef Todd Erickson (GLAM Vegan Miami, Society Ft. Myers and Huahua’s Taqueria South Beach) to the resorts. 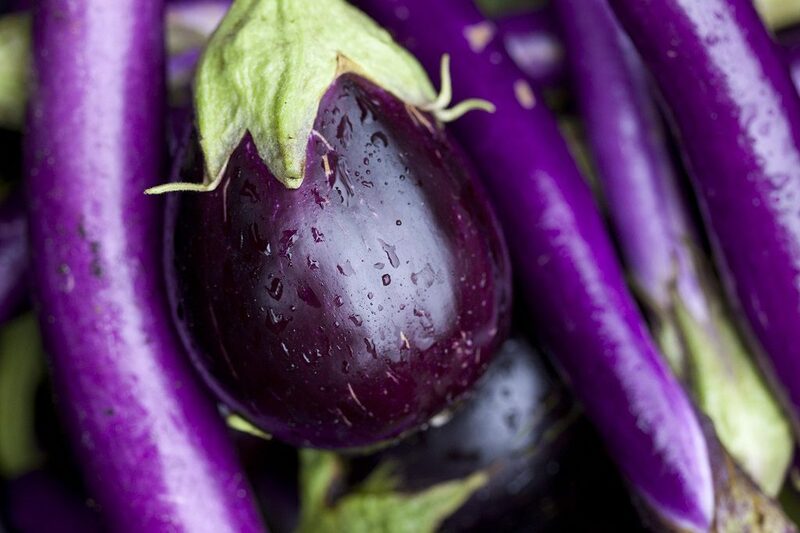 Erickson, who is known for crafting distinctive small plates like salads, sliders, skewers and sushi rolls, will be creating a vegan menu for Emeralds that will highlight the island’s freshest fall produce. “The menu will very much depend on what will be in season, but there will definitely be cocoa and tropical fruit involved, as well as fresh tamarind, squash, greens and nuts,” says Erickson. The chef is planning to mix a variety of flavors, textures, and cooking techniques, and he may serve tacos, spring rolls, pots de crème, and soups like gazpacho. Erickson added that he is looking forward to collaborating with the chefs at the resorts, and bringing some some new, Caribbean-inspired ideas back to Florida. “I’m very excited to meet and work with the team at Anse Chastanet and also Jade Mountain. Sharing recipes and learning from others is a huge part of being a chef,” he says. 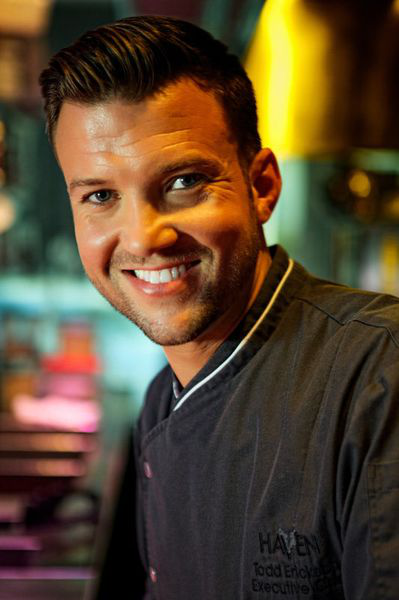 Todd Erickson is the executive chef and partner of GLAM Vegan Miami, Society Ft. Myers and Huahua’s Taqueria South Beach. Erickson’s approach reflects his passion for both travel and regional cuisines, and has earned him a following with respected critics and food novices alike. He has rapidly become a recognized name in culinary excellence and flavor inspiration and has earned dozens of awards for his menus, including Eater.com‘s “Hottest Chef,” Seed Food and Wine Burger Battle’s “Best Plant Based Burger in America,” and Food Network Channel’s “Beat Bobby Flay” competition. 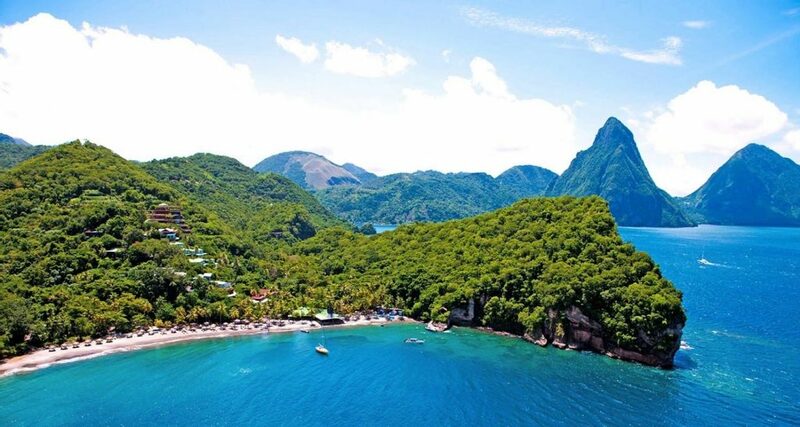 Anse Chastanet is a lush, impossibly scenic 600-acre estate with the Gros and Petit Pitons as the backdrop, 2,500-foot twin volcanoes that have come to symbolize St. Lucia and are a UNESCO World Heritage Site. The property encompasses two sandy beaches that border coral reefs; the organic Emerald Estate Farm, where much of the restaurants’ produce is grown; and the historical former plantation site of Anse Mamin, popular for birdwatching, hiking and jungle biking on private resort trails. Anse Chastanet shares its facilities with its sister property, Jade Mountain, the intimate and luxurious resort at the upper half of the estate. Both properties are architect and founder Nick Troubetzkoy’s fitting tribute to St. Lucia’s dazzling beauty. Both resorts have received numerous accolades. These include the yearly Travel and Leisure Readers World Best Awards, Wine Spectator Restaurant Awards,Conde Nast Traveler Readers’ Choice Awards, American Express Travel’s Top 25 List and BRIDES magazine’s rundown, “The 10 Best Honeymoon Resorts in the Caribbean.” Jade Mountain Club and Anse Chastanet have earned three Readers’ Choice awards from 10Best, one of USA Today’s travel web sites. Most recently, Anse Chastanet was named one of U.S. News & World Report’s 50 Bucket List Family Adventure Trips. For more information on ANSE CHASTANET and JADE MOUNTAIN at 1- 800-223-1108 Tel 758-459-7000, Fax 758-459-7700 or contact e-mail ansechastanet@ansechastanet.com and jademountain@ansechastanet.com .